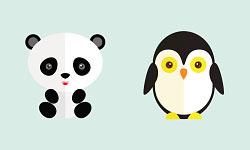 Worried About Google Panda and Penguin Updates? Over the past few weeks SEO news has been dominated by first the update to Google’s Panda algorithm and now the Penguin algorithm. As always any changes to Google algorithms creates a flurry of social media comment and articles, but in real terms what does this mean for most websites. Panda and Penguin – What’s the Difference? In algorithm terms Panda’s job is to weed out spammy, duplicate and poor content, while Penguin’s is to get rid of spammy and poor links. If you see a drop in ranking position and natural search traffic its likely you have a problem with one or both of these areas. This doesn’t necessarily mean you have been spamming the internet, sometimes sites can be victims of over optimisation. So remember too much of a good thing can also get you trouble. It’s not necessarily bad news at all, if you have a great site with good content and links you may well see things improve. In addition if you’ve had issues in the past and been working hard to improve you are more likely to see better ranking and SEO traffic. So far the latest Penguin refresh is affecting fewer than 1% of queries in US English search results and as its rolled out worldwide we will see a degree of fluctuation with things settling down over the next few weeks. 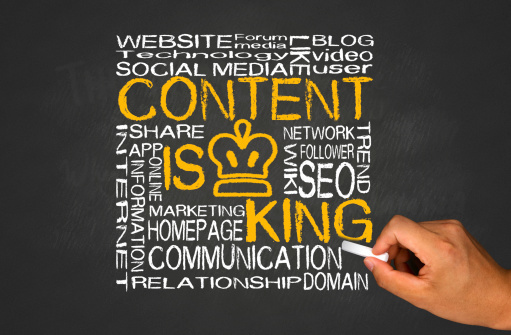 ExtraDigital has always recommended website owners create quality unique content for both their website pages and wider content marketing and if you are already doing this there is no need to change. If you think your content could do with a refresh or haven’t been so active on your content marketing now is probably a good time to start. The same goes for links it’s always better to have a few high quality links than a bucket full of spammy ones. If you already have the quality approach then there is no need to change, but again if you know things aren’t so good it’s worth doing a link review and clear-up followed by implementing a quality link strategy. In both of these areas to avoid over optimisation stay away from targeting the same keyword phrases again and again. Focus on key topic areas rather than set phrases and bring natural authority and relevance to both your content and links. If you need professional help with your sites SEO talk to us at ExtraDigital for expert no-nonsense advice all areas of digital marketing, design and development. Call +44(0)1227 68 68 98.